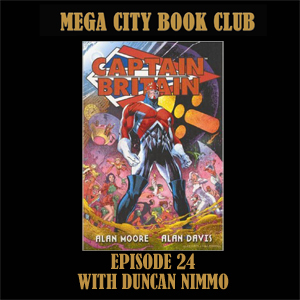 I've persuaded Duncan Nimmo to take us slightly off topic as we discuss a book by two of Tharg's greatest droids. Listen in for madcap mutants, a terrfying monster, and a British super-hero whose heart is in the right place even though his brain sometimes lags behind. You can find Duncan's work for Futurequake press here, including his recent Judge Anderson strip.